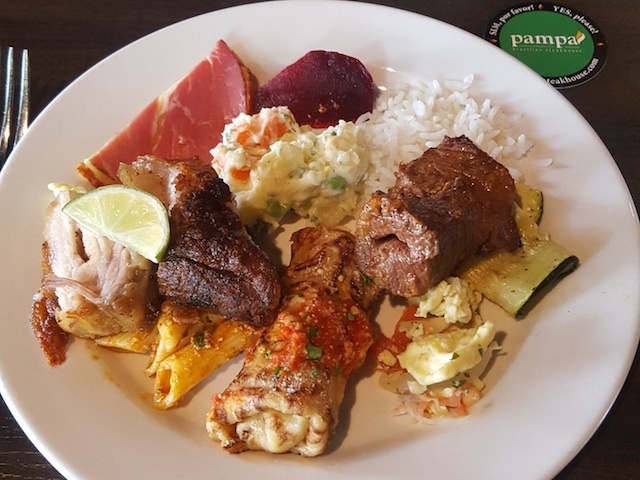 I went to Pampa Brazilian Steakhouse with my family for Father's Day brunch this year. 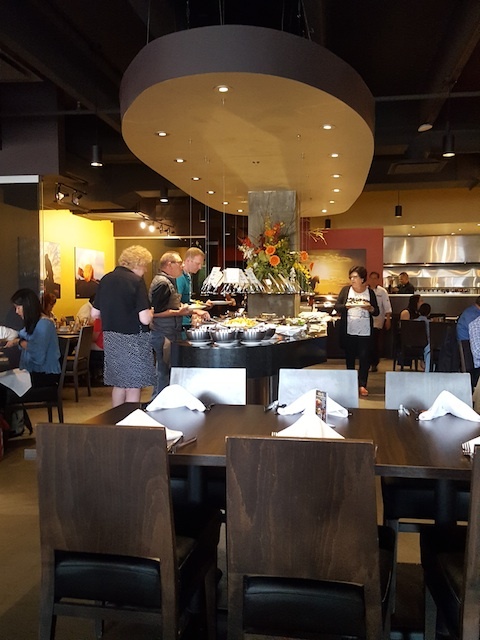 I'm not sure if it was any different from their regular Sunday brunch buffet which they have every week for $29.99/person. 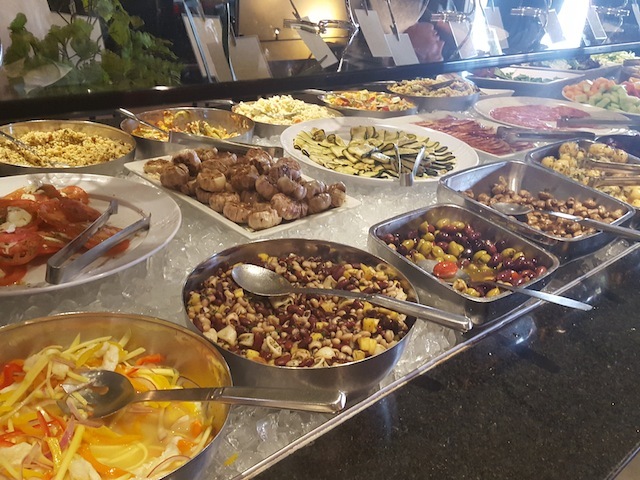 The buffet consisted of a bunch of cold items including salads, fruits, and cold cuts. Nothing spectacular, but there was a good selection and there were also a few hot items. The warm French toast was quite tasty. 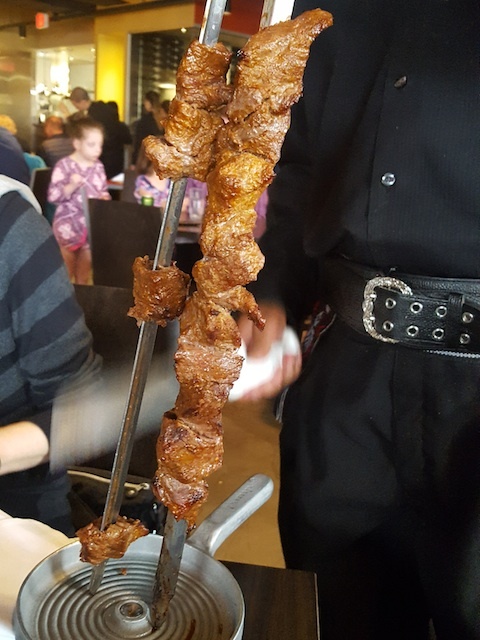 The servers brought the various cuts of meat available that day to the table. I don't remember all the cuts we had that day, but there were some beef cuts, pork belly, sausage, and chicken drumstick. All of the meats were supposed to be medium-rare, but I found most of them a bit overcooked and quite tough. Each person gets a double-sided cardboard coaster thing that's green on one side and red on the other. Green side up means "I want more meat!" and the servers will come by to serve the meat. However, I've noticed that the servers don't actually care whether your card is on green or red. They come by anyway if they see you looking, so my plate was piled up with meat within a few minutes. There was a 1.5 hour time limit, and our server came by several times when time was almost up to politely ask if we needed anything else. We were waiting for them to refill the fruit in the buffet, but it took a really long time. Our server was great though, and made sure to let us know the minute it was refilled. 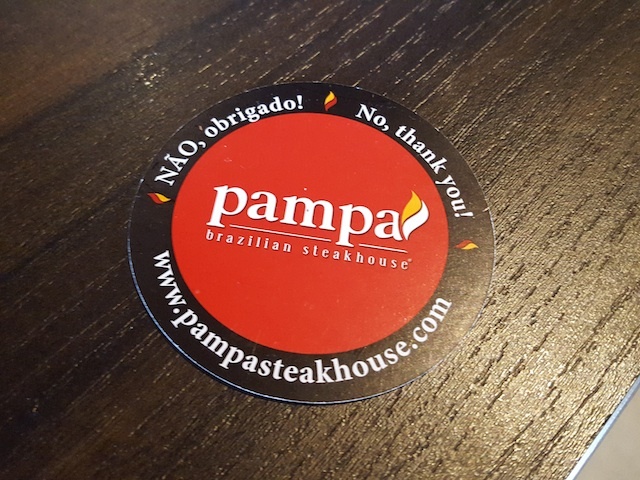 I think the price is a bit steep for the quality of food, so I wouldn't recommend this place unless you have never had a rodizio experience or you can eat a lot of meat and get your money's worth.